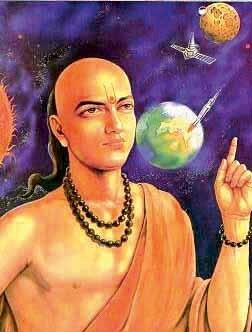 Aryabhatta was born in Patliputra in Magadha, modern Patna in Bihar. Many are of the view that he was born in the south of India especially Kerala and lived in Magadha at the time of the Gupta rulers; time which is known as the golden age of India. There is no evidence that he was born outside Patliputra and traveled to Magadha, the centre of education and learning for his studies where he even set up a coaching centre. His first name “Arya” is hardly a South Indian name while “Bhatt” (or Bhatta) is a typical North Indian name even found today specially among the “Bania” (or trader) community. Whatever this origin, it cannot be argued that he lived in Patliputra where he wrote his famous treatise the “Aryabhatta-Siddhanta” but more famously the “Aryabhatiya”, the only work to have survived. It contains mathematical and astronomical theories that have been reveled to be quite accurate in modern mathematics. For instance he wrote that if 4 is added to 100 and then multiplied by 8 then added to 62,000 then divided by 20,000 the answer will be equal to the circumference of a circle of diameter twenty thousand. This calculates to 3.1416 close to the actual value Pi (3.14159). But his greatest contribution has to be zero. His other works include algebra, arithmetic, trigonometry, quadratic equations and the sine table. from the sun. He goes as far as to explain the eclipse of the moon and the sun, day and night, the contours of the earth, the length of the year exactly as 365 days. He even computed the circumference of the earth as 24835 miles which is close to modern day calculation of 24990 miles. Aryabhatta Hostel running in Type-I staff flats and has capacity to accommodate about 168 students.